Full-time Student 12 Months (Agreement Form) - (EPT) Excellence Private Training Sign up online today! PaSTOR D sign up today for private training (In-Home). We provide piano, guitar, bass, keyboard sequencing, voice, song writing lessons. Also audio & video production graphic design, website designing and ministry preparation & bible training. 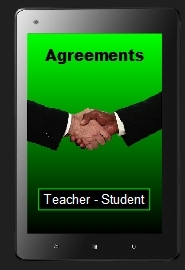 The 12 Month Training Agreement is required only for "Full-time Students"
1) 12 Month agreement applies to the privileged of having full access to PaSTOR D's "Standard Training Materials"
2) 12 Month agreement also applies to having a permanently "Fixed Day & Time" to show up each week for your training without having to call (Every week) for another appointment..